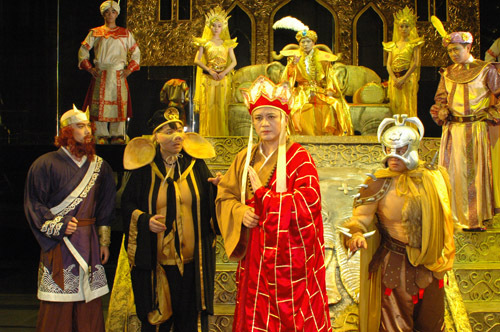 The second series of Journey to the West mainly contains the episodes of Skeleton Demon using lute to trap victims, Monkey King vanquishing Skeleton Demon, Princess flower releasing Tang Seng (a famous monk in ancient myths), Tang Seng transforming into a tiger, the true false Monkey Kings, Monkey King fighting with Yellow Robe Demon the four monks continuing their journey to the West. It was said that the flesh of Tang Seng would bring eternal youth. Therefore, when four monks arrived at the White Tiger Mountain, Skeleton Demon incarnated as three different persons to trap Tang Seng. 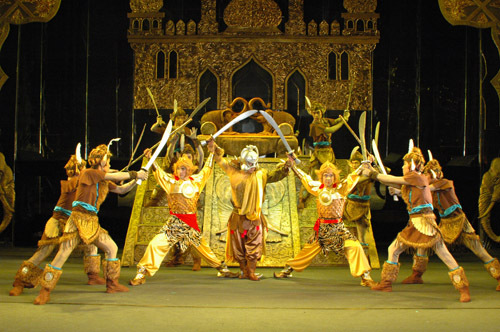 Monkey King vanquished Skeleton Demon for each time, but was condemned byTang Seng as killing innocents. 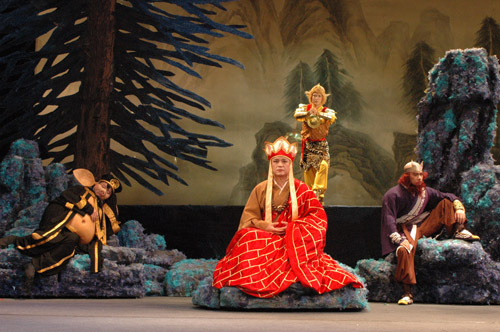 Annoyed by Monkey King’s defense, Tang Seng believed the slander from Pigsy, who bore a grudge against Monkey King. Monkey King was then expelled from the team returned to his mountain, only to find that lair was occupied by false Monkey King. Pigsy considered himself as the senior disciple of Tang Seng but nearly made Tang Seng lose his life. Not knowing what to do, he had to invite Monkey King back but came across the two Monkey Kings. 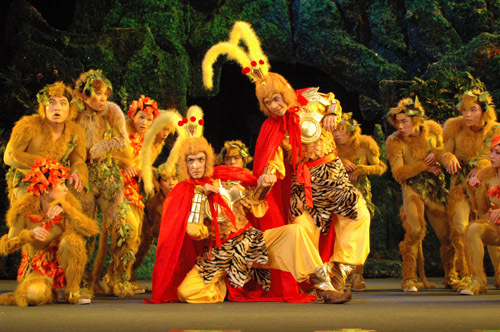 After a series of fierce conflicts, the capable Monkey King defeated demons saved Tang Seng, then the four monks continued their journey to the West.